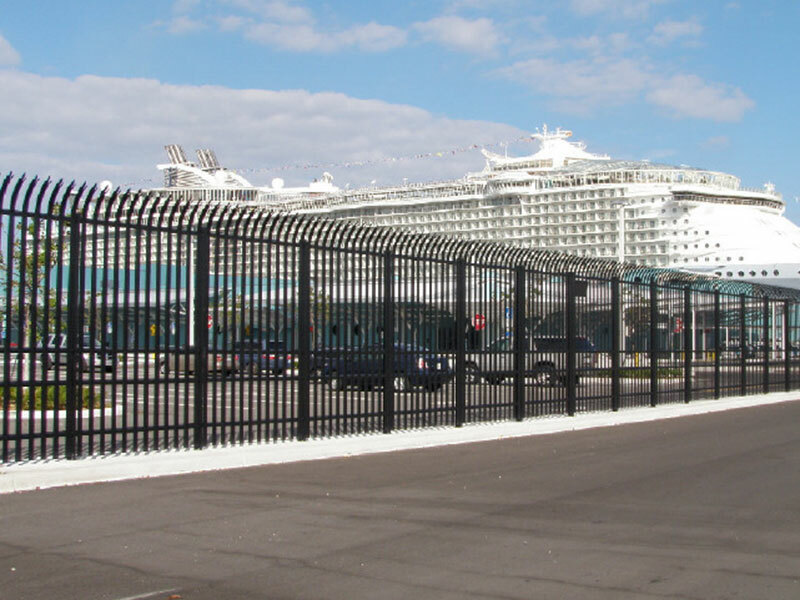 QCE Aluminum Fence has a wholesale supply of commercial aluminum fencing and fence accessories to fit your business needs while matching quality with customer care. Built to last, all QCE Aluminum Fence products are protected by an unconditional lifetime warranty so you can trust in the value of your investment, and we’ll ship your fence anywhere in the USA in time for your project to start. 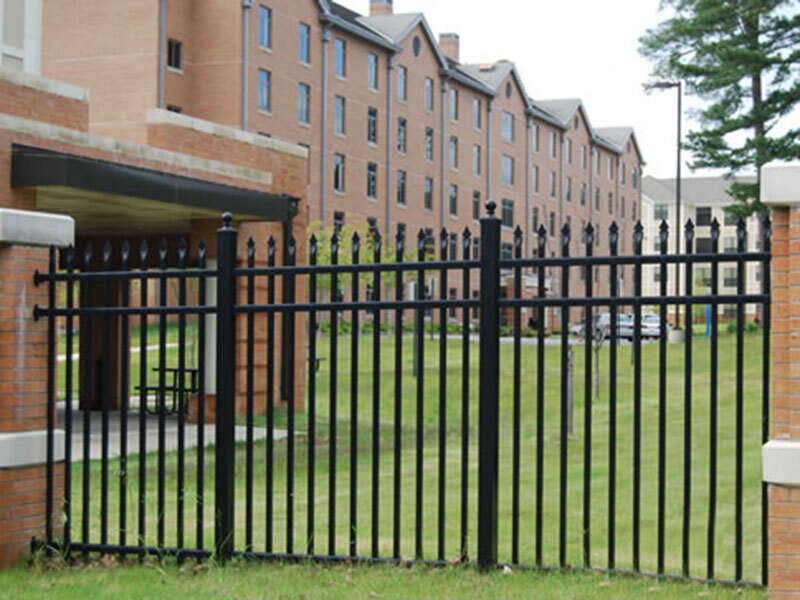 All QCE Aluminum Fence railings are protected with a lifetime warranty against chipping, peeling, cracking and corroding so you can in this investment for your business. Choose from a range of fence railing designs that are durable, decorative and easy to install. 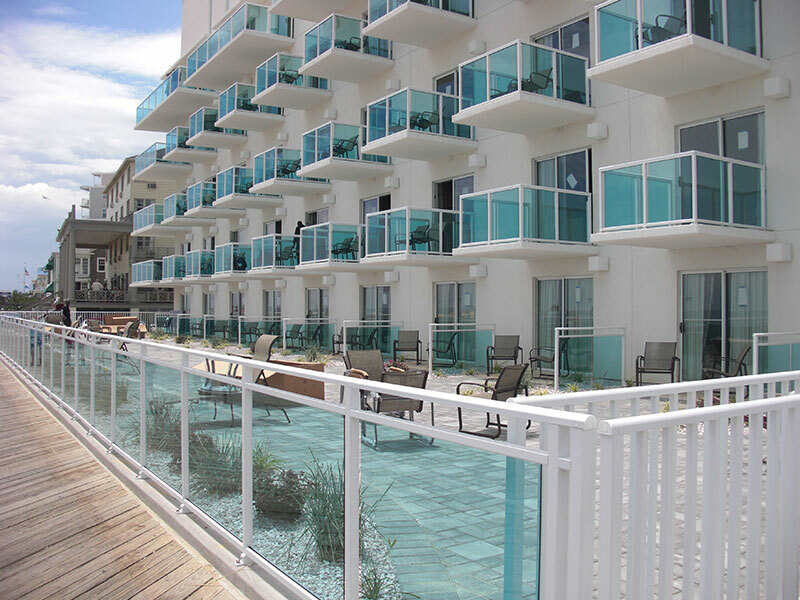 These commercial aluminum or glass railings are the perfect addition for your home, business, church, school, etc. 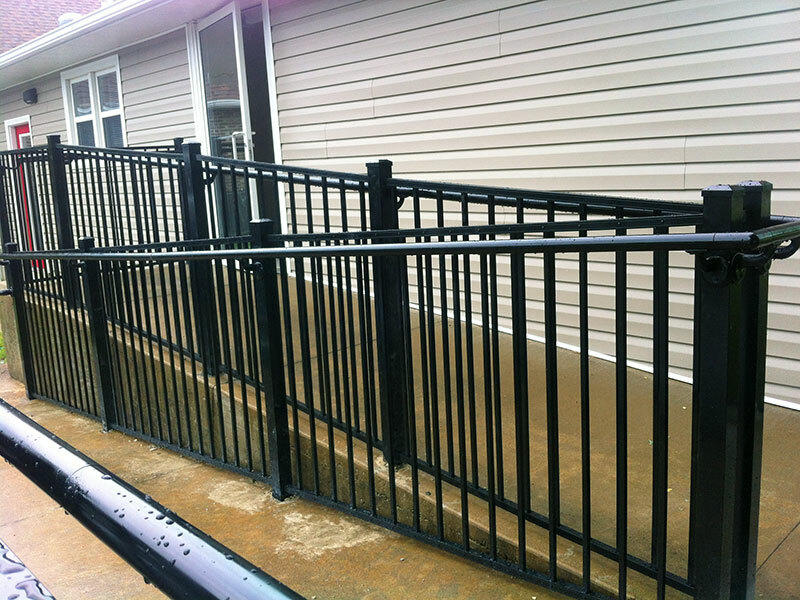 QCE Aluminum Fence is an accredited industrial fence supplier. Each heavy duty, industrial fence material is made in the USA and protected by the same lifetime warranty you can find with any of our products. Visit our fence material specifications page to see the difference in thickness that you’ll find in our industrial fence and post supply. QCE Aluminum Fence offers aluminum privacy fence in two styles: board-on-board and 3-rail shadowbox. 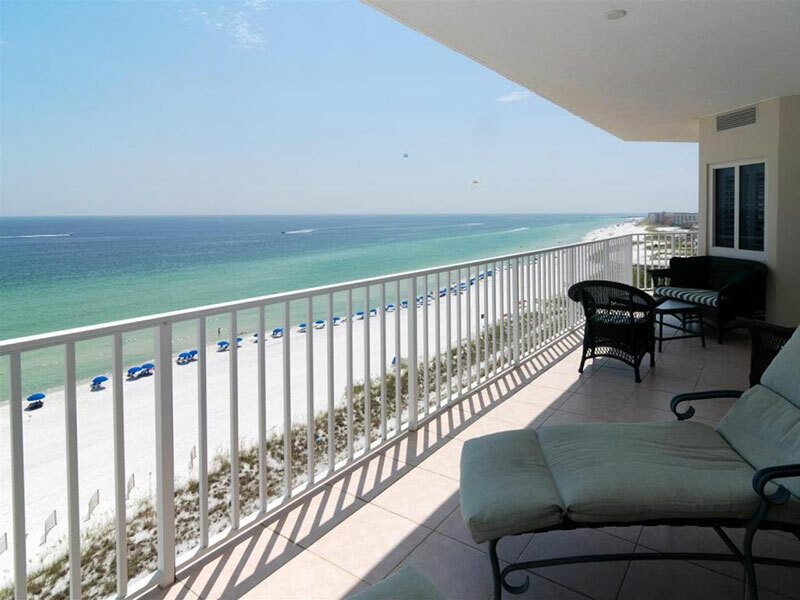 Both styles come powder-coated with your choice between 7 colors (Black, White, Gray, Florida Bronze, Light Bronze, Green and Beige), are made in 6 foot sections and are available in heights up to 8 feet tall. 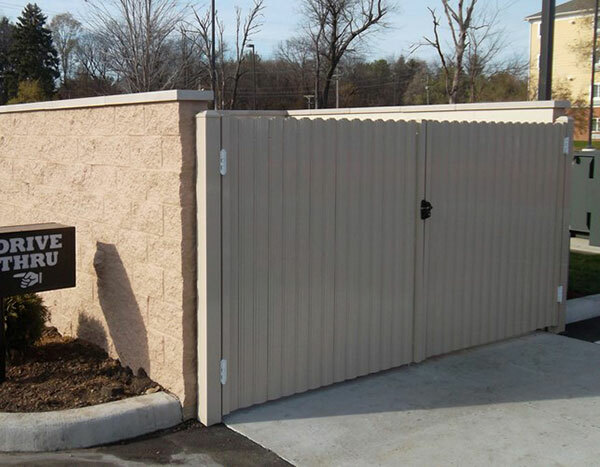 Enjoy privacy and protection with our durable, long lasting Commercial Aluminum Privacy Fencing. Ready to replace your dumpster gate? QCE Aluminum Fence offers industrial-grade aluminum dumpster gates to replace your current worn-out dumpster gates. Available in 7 colors (Black, White, Gray, Florida Bronze, Light Bronze, Green and Beige), these gates are available in 6 foot lengths and heights up to 8 feet tall. Our products are protected from rust, peeling, chipping and corroding with a lifetime warranty. Our qualified professionals help move your project along from purchase to installation. 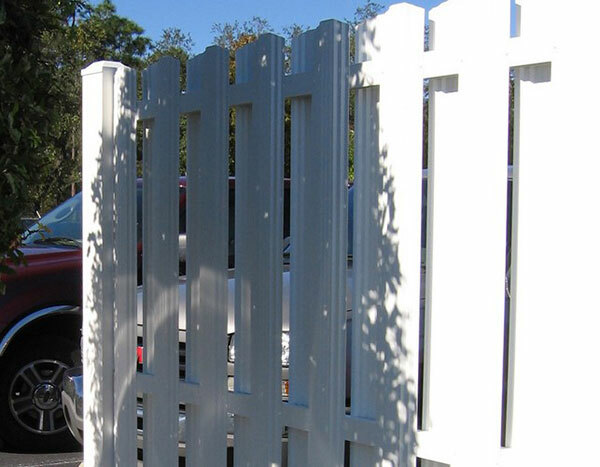 Our large variety of fence sizes, styles, colors and accessories help find your style. Our competitive price, customer care and lifetime warranty bring out the best in value.